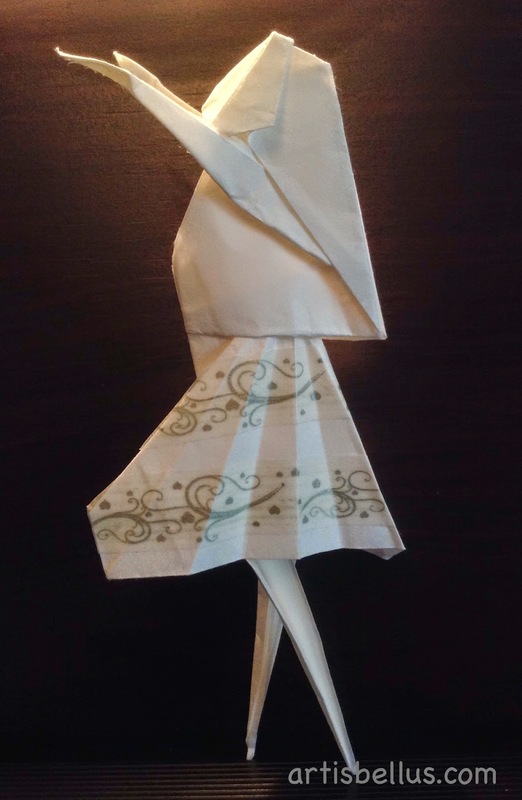 The Hula Dancer is a very beautiful and elegant model designed by Jodi Fukumoto. 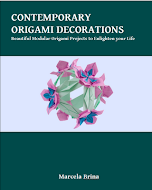 The instructions can be found in Jodi Fukumoto's book, The Guide to Hawaiian Style Origami . 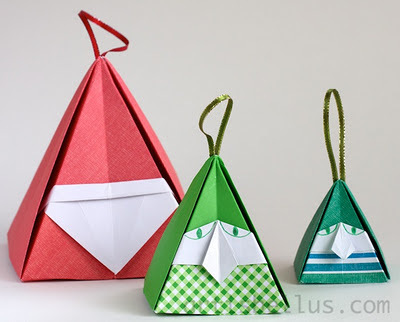 I folded it with a 9" (225mm) square of Pacon Paper Squares , decorated with Japanese Washi Masking Tape .